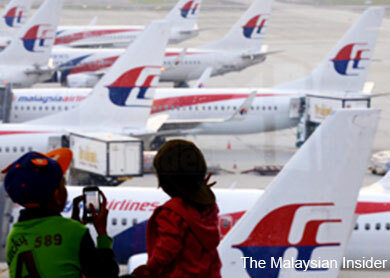 SYDNEY (Nov 11): Australia on Tuesday said it remained committed to searching for missing Malaysia Airlines flight MH370 after comments by one of the airline's directors suggesting the plane would be declared officially "lost" angered passengers' families. Malaysia Airlines commercial director Hugh Dunleavy inflamed already testy relations between the airline and the families of those aboard the missing flight by telling a New Zealand newspaper on Nov. 4 that next of kin would be compensated "once we've had an official loss recorded". The paper added that Australia and Malaysia were likely to declare the plane lost by the end of 2014, effectively ending a massive undersea search begun soon after the flight disappeared over the Indian Ocean on March 8, with 239 people on board. On Nov. 10, next-of-kin activist group Voice 370 said in a statement that Dunleavy's "unilateral declaration brings intense agony and confusions to family members and makes us lose faith in the search effort". Malaysia Airlines then said in a statement the comments were an "expression of a personal opinion only" and the Australia-based Joint Agency Coordination Centre (JACC) running the search was giving the only official updates on the operation, involving Australian, Chinese and Malaysian search equipment. "Australia continues to lead the search for MH370 on behalf of Malaysia and remains committed to providing all necessary assistance in the search for the aircraft," the JACC said in a statement that described Dunleavy's comments as "greatly disturbing" for the families and loved ones of those on board.